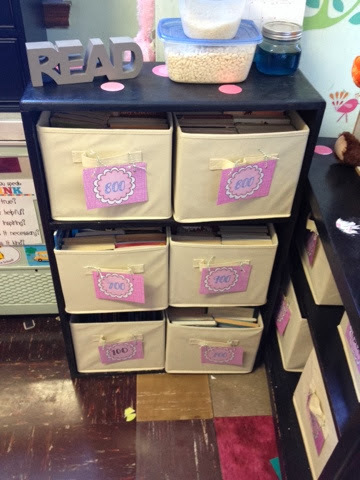 I used some funds from adoptaclassroom.org to purchase fabric bins. 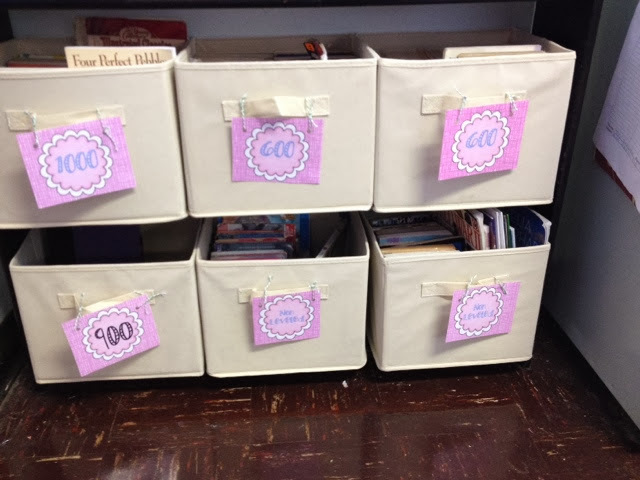 I created Lexile labels, laminated them, and attached them to the outside of the bins. Who knew something so simple could save me from a major headache? The students have actually been putting the books back into the right spots! Disregard the mess on the picture below, but I love an organize library! If something like this would work for your classroom head on over to my TPT store to grab the library labels for free!